There is nothing that I love to wear more in the fall than a gingham top. It’s just one of those versatile, any season top. It can be dressed up for office wear and dressed down with leggings and boots for the weekend. So many pieces in my wardrobe are dual purpose – tops that can be dressed up for work and dressed down with leggings for the weekend. 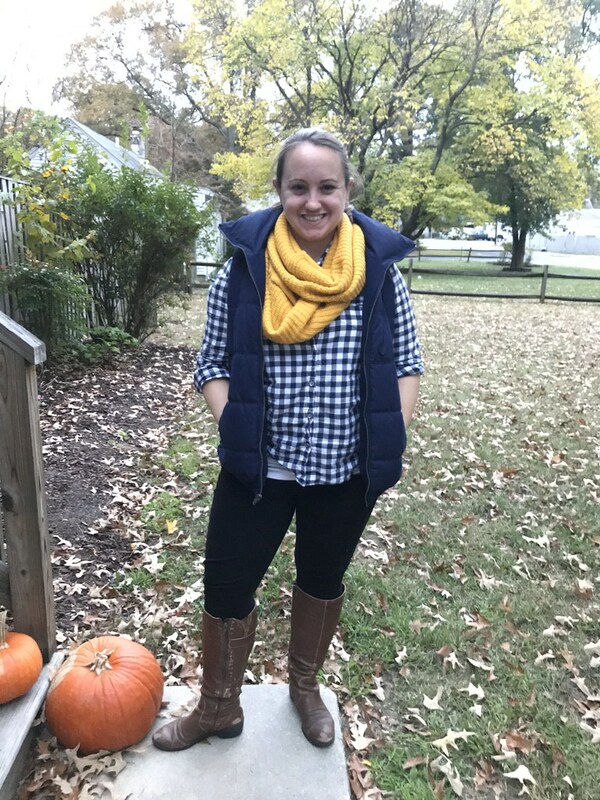 My weekend outfit this past weekend channeled my inner Audrey with navy and yellow – it’s a damn shame I wasn’t hitting up a Navy football game but nope. It also reminded me that I desperately need new knee-high boots (Christmas maybe?) because these ones that I picked up (…2014?) are ancient and look like garbage. But that’s another post for another time. 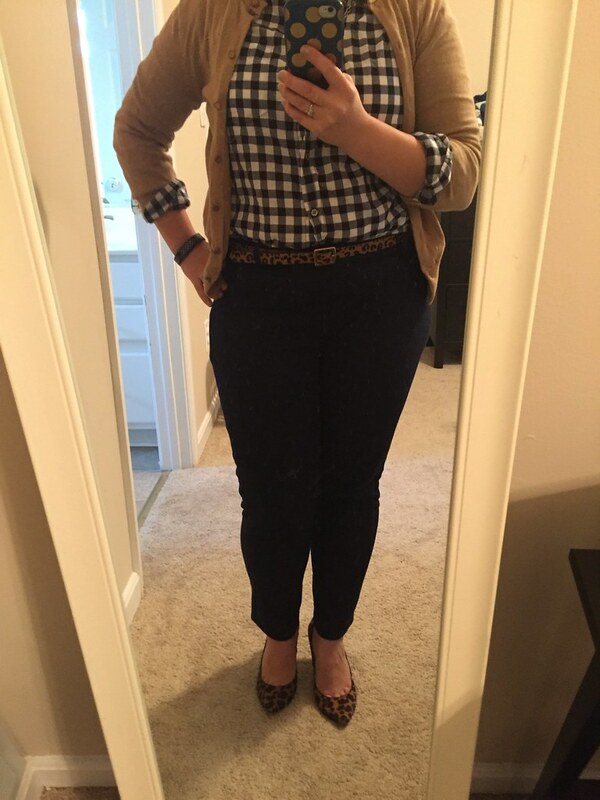 What piece in your wardrobe is your favorite for business and play?